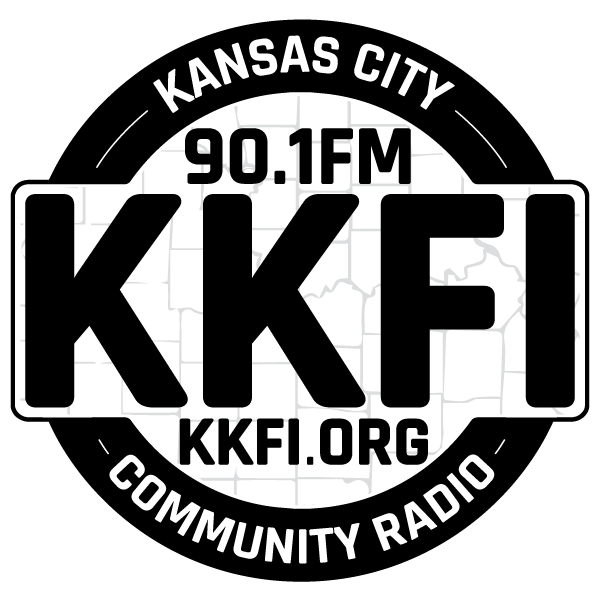 ARTSPEAK RADIO is a live radio program on KKFI that airs every Wednesday at noon. Host Maria Vasquez Boyd serves up information about the visual and literary arts community including live interviews with artists, writers, and performers. Past guests on ARTSPEAK Radio include the following individuals and organizations. Scribe, Bernie Koehrson, The Writers Place, Jose Faus, Carol Kariotis, Lisa Cordes, Shawn Pavey, Main Street Rag, Tara Varney, Glenn North, Matt Jacobs, David Rhoades, Damon Lee Patterson, Jill Downen, Greg Patterson, Seth Johnson, William Peck, Jared Flaming, 2013 Verses and Voices, Mary Ann Haenni, Judith Towse, Molly Kaderka, Norma Cantu, The Artists for Life Project, Darryl Chamberlain, Bluest Aye, Jennifer Leigh Coates, Missi Rasmussen, Alex R. Carpernter, Skye Livingston, Michele Johnson, Justin Beachler, Carla Malone Steck, Janet and Stan Banks, Mark Allen, Benjamin Alire Saenz, Angela Cervantes, Geo Sipp, Daniel Shea, Meghan Henry, Kansas City Public Library, Dr. Phong Nguyen, Tracy Abeln, Julia Cole, The Riverfront Reading, Phyllis Becker, Carl Bettis, Eve Ott, Patricia Lawson, and Silvia Kofler, Thomas Cobian, Sean Starowitz, Carrie Riehl, Emily Kenyon, Summer Osborn, Jen Harris, Woodneath Library, Andie Paloutzian, Jorge Garcia Almodovar, Diego Chi, Ahram Park, Lindsey Martin-Bowen, Sara Miss Conception Glass, Tommy Frank, Rhiannon Ross, Michele Pond, David Arnold Hughes, Sharon Eiker, Madeline Gallucci, Patrick Alexander, Eric Dobbins, Luis Garcia, Cory Imig, Jeanette Powers, Lauren Sobchak, Ari Fish, Miguel M. Morales, Sofiana Olivera, m.o.i. (aka the minister of information, aka Don Wilikson) Sarah Starr, Maril Crabtree, Stephen Roth, and Dave Dalton, Melaney Mitchell, Bobby Howsare, Sandra Moran, Front/Space, Don Simon, Chance Wolf, Suzanne Gladney, MaryFrances Wagner, Greg Field, Jane Booth, Suze Ford Fernandez, David Wayne Reed, Lorenzo Collado, Jessy Terrero, Petra & Kester Horn-Marsh, Eve Brackenbury, Brandon Forrest Frederick, MyArts, Adam Goldberg, Deana Bellamaganya, Ryan Teney, Mihn Du Pha, Eric Lindquist, Jenny Mendez, Teresa Magel, Sarah Hyde-Schmiedeler, Deborah Shouse, Ron Zoglin, Nicole Emanuel, Adam Finkelston, Jay Meara, Danny Orendorf, Laura Isaac, Whispering Prairie Press, Jessica Conoley, Pat Daneman, Marianne Getchell, and Annie Raab. Producer/host Maria Vasquez Boyd welcomes singer/songwriter Kian Byrne, artist/printmaker Ruben Castillo, and artist Danielle Weigandt. Producer/host Maria Vasquez Boyd welcomes Kar Woo Artist Helping the Homeless, poets Andrés Rodriguez, Natasha Ria El-Scari, and Katie Kline KC Storytellers. Producer/host Maria Vasquez Boyd welcomes Shayna Swanson Artistic Director at Aloft Circus Arts, gallery director/artist Jenny Mendez, writer Alex Martinez, and artist/ArtsKC member Iván Garnica. Producer/host Maria Vasquez Boyd welcomes the return of artist/musician Robert Castillo, muralist/artist Baldemor Rivas, multi-media artist Stacy Busch, and writer/poet Waco Porter. Producer/host Maria Vasquez Boyd welcomes artist/educator Bernadette Torres and gallery owner/artist Israel Alejandro Garcia Garcia. Producer/host Maria Vasquez Boyd welcomes writers Polly Alice McCann, Jordan Stempleman, and jazz group The Sextets. Producer/host Maria Vasquez welcomes writers Tom Sullivan & Aya, Charlotte Street Foundation's Mason Kilpatrick & Julia Cole, also artists Luis Garcia, Edwing Mendez, Caleb Bowman, & Sonie Ruffin. Producer/host Maria Vasquez Boyd welcomes comedian Byron Stamps, artist Laura Pensar, Studio Inc, & Doug Peete with Jazz For Good Foundation. Producer/host Maria Vasquez Boyd welcomes a plethora of artists; Kiki Serna, Anthony Oropeza, Linda Lighton, and Bernadette Torres. Maria Vasquez Boyd is a writer, painter, illustrator, radio producer and a founding member of the Latino Writers Collective.